Greg Buchanan is a world-class harpist whose superb musicianship and enthusiastic attitude make him one of the most sought-after Christian performers in America. Greg's innovative style of playing has been drawing his listeners into a unique worship experience for more than fifteen years. He has multiple recordings, and has appeared at many major conferences, conventions, churches, including appearances on the 700 Club and TBN (Trinity Broadcasting Network). 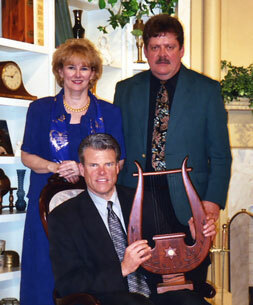 In December 1998, Greg endorsed our harps for their quality and value. Today, he plays a Concert Grand Lyon & Healy, a Celtic Harp, and our 10-String Davidic Kinnor in his concerts. When asked about our Kinnor, he gets excited about its history and affordability! 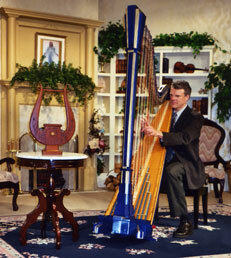 Our harp ministry was an answer to one of his prayers . 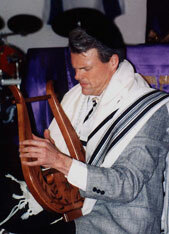 . . an opportunity for anyone, adults or children, to own and play God's instrument of praise! "Jubilee Harps has accomplished the impossible! 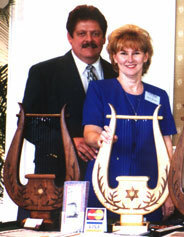 They are consistently making fine quality Biblical harps...priced for anyone to own. I play their harp in my concerts and I love it!" 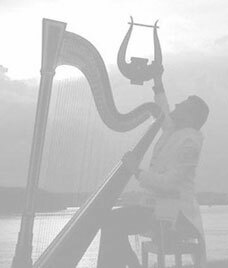 If you own a Jubilee harp, and would like to share personal testimonies about the blessings that you have received through your harp, contact us using the information to the right. We look forward to hearing from you!